White plaster crumbles from a red brick wall, a grey gutter runs through the image. In the red, white and grey expanse small bullet holes are gaping. The photo was taken somewhere in former Yugoslavia. So the war in Yugoslavia and the collapse of the country during the 1990s with its inconsistency and fragility are symbolic for the time after the fall of the Iron Curtain, which led to new demarcations und social distortions. Joerg Waehner approaches this era by means of an extended concept of photography. 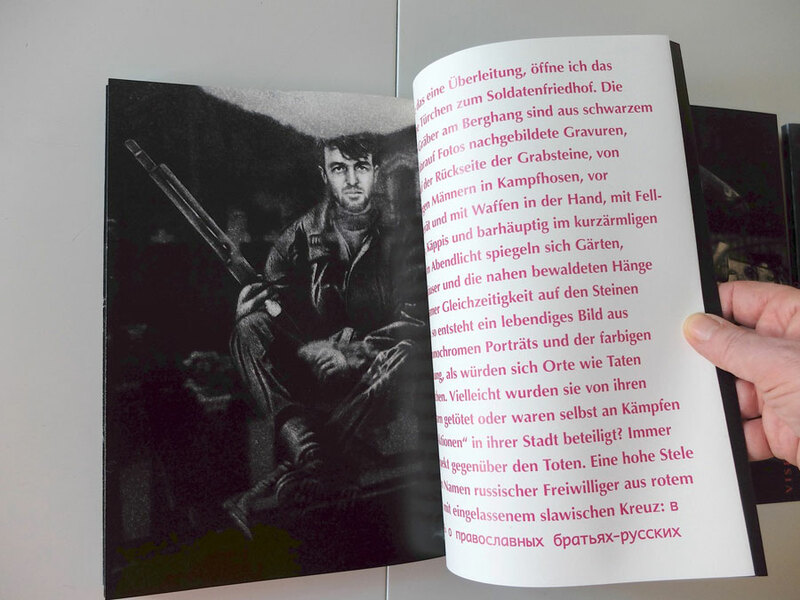 In a kind of sociological process of ripening Waehner transforms the remnants of history into haptic pictorial forms using photographs, drawings, texts and frottages. 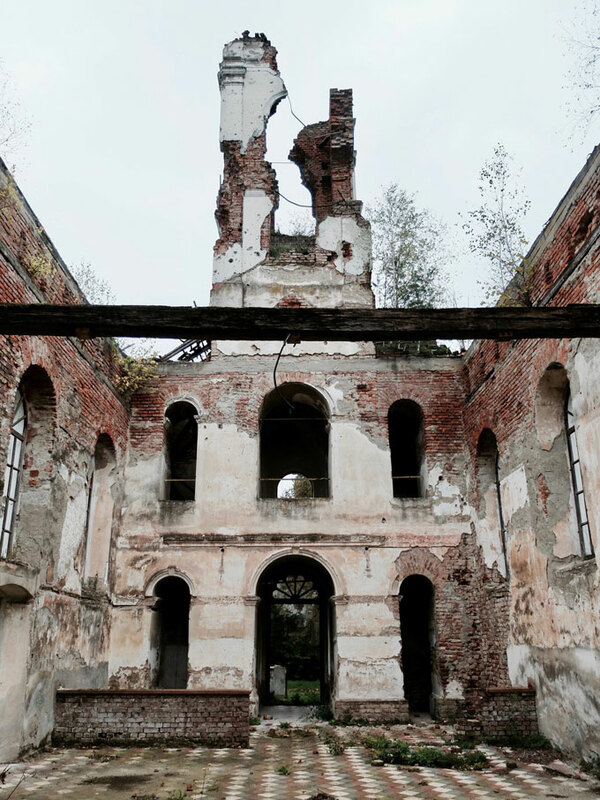 In YUGOMANIA the past constantly influences the present. 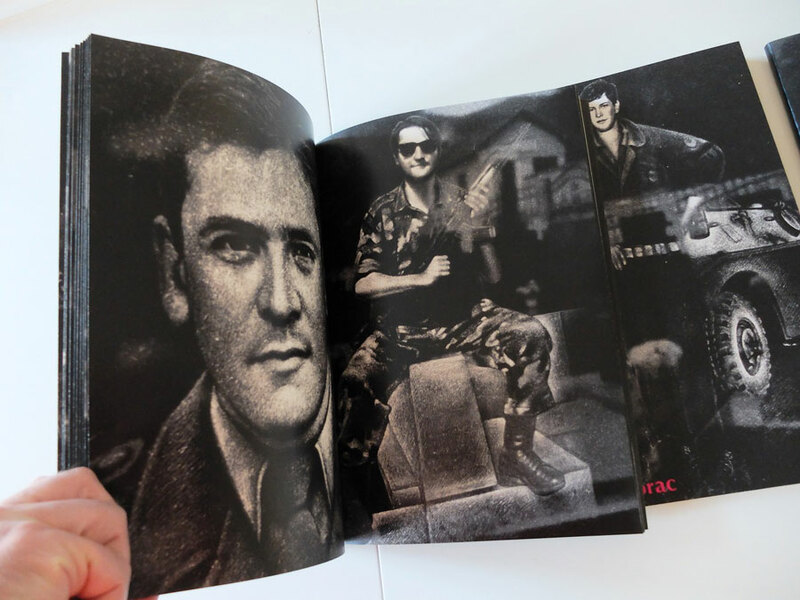 Waehner merges photos of young soldiers from the Yugoslavian war with the environment mirrored on gravestones, combines images of the former President Tito with landscape pictures from a calendar. A former Yugoslavian border sign was simply overwritten „Slovenia“. Waehner traces these memories and reveals them. 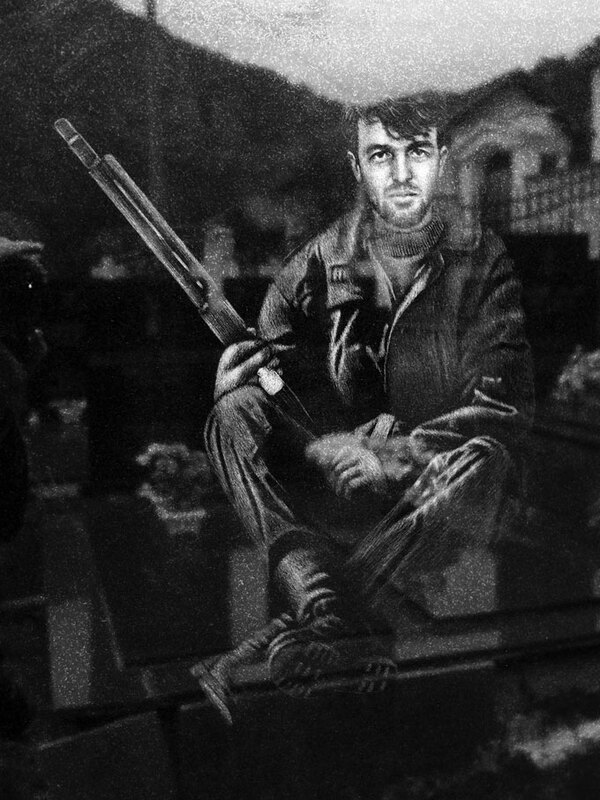 And so in YUGOMANIA one image pushes into the next to expose the suppressed layers of the war. 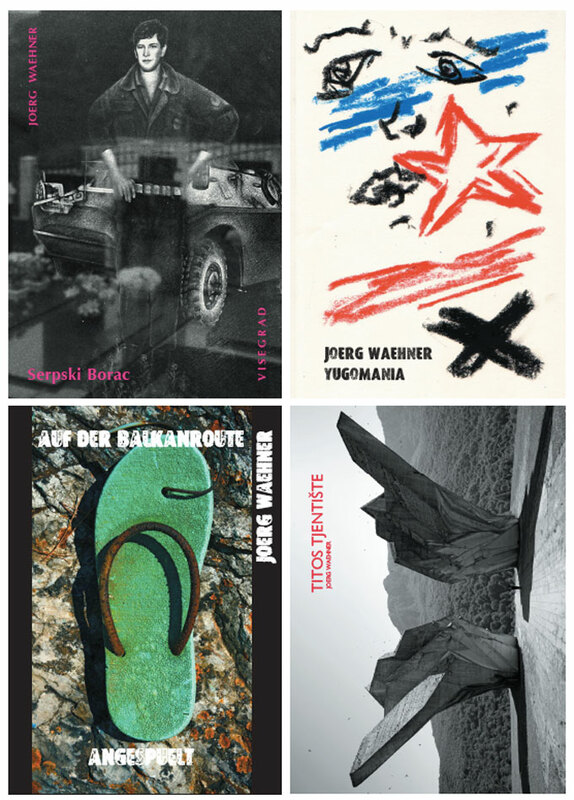 Joerg Waehner (*1962) writer and artist, working mainly with photography and film. 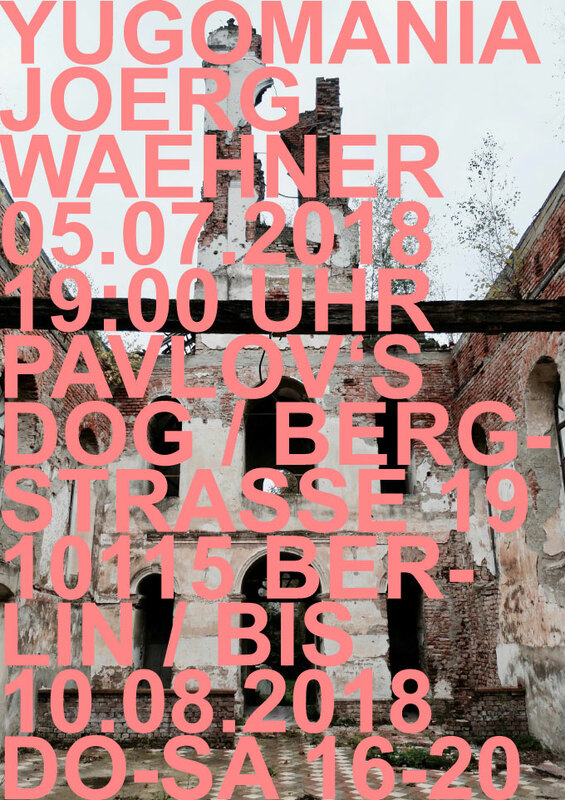 Waehner lives and works in Berlin.